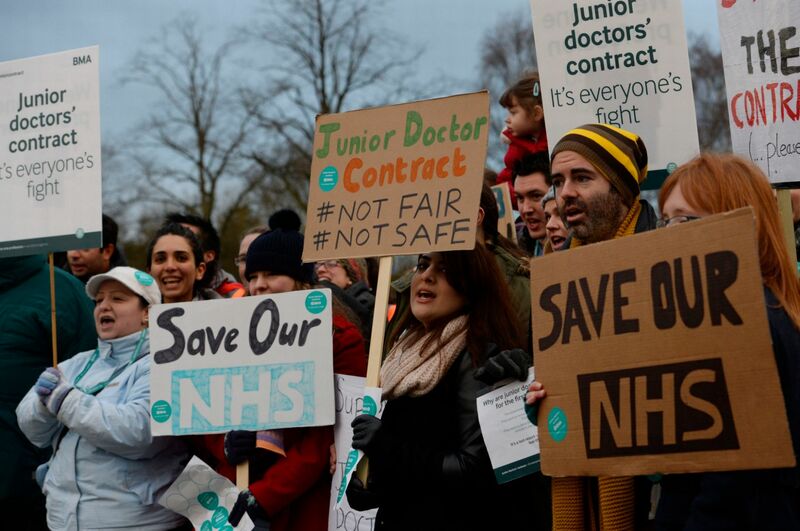 Earlier this week, the junior doctors across the country staged their second all-out strike. Unless you’ve been hiding under a rock for the past few months, you’d know that this is one of the most crucial issues facing the country. You’ve probably also heard the words “Panama Papers” flying around. It may surprise you to know that the two are linked. But first, we have to answer a few important questions. Firstly, what are the Panama Papers? The ‘Panama Papers’ refers to a huge data leak from off-shore law firm Mossack Fonseca which exposed the details of offshore investments, whose beneficiaries included hundreds of politicians and numerous heads of state. If you are completely unfamiliar with the idea of offshore investments, I highly recommend you check out VOXEu’s adorable comic explaining the concept. It is important to note that hiding your funds away in tax havens such as Panama, Guernsey, Jersey, or St. Kitts and Nevis isn’t illegal. In fact, tax avoidance in itself isn’t even illegal. So what is the big fuss about? One of the highlights of the Panama Papers was when David Cameron admitted to owning shares in a mutual investment fund set up by his father, Ian. Cameron has repeatedly insisted he has done nothing wrong. And technically, he hasn’t! To many, this revelation just proves Cameron’s tax hypocrisy. Cameron has famously mentioned the “ethical issues” that arise from tax avoidance. Various MPs and members of opposition parties have called him out for this, most notably Labour MP Jess Phillips who hit out at Cameron, calling him “a coward who cheats”. Secondly, what are the junior doctors even striking about? In a nutshell – it’s complicated. But the most pressing issues include working hours, an adjustment to what is considered “unsociable hours”, and essentially, pay. The junior doctors aren’t just striking for them, but for us too. Jeremy Hunt’s new contract for junior doctors raises serious concerns for patient safety and emergency care. The contract was part of David Cameron’s plan to increase emergency medical services on the weekend by 2020, but without drawing too much on the cash-strapped NHS’ resources. It’s simple, when there are people who avoid paying their taxes in the UK, tax revenue falls. And when tax revenues are down, something’s got to give. Unfortunately, one of the UK’s most important institutions is taking the hit. So now what? Should David Cameron follow in the former Icelandic premier’s footsteps and resign? Should we wait to see whether the ministers or junior doctors break first? Regardless, this exposé should call for more transparency within the government.